As of midnight last Monday, dredging the town basin and river downstream became the most urgent Mahurangi project. Up until that deadline, feedback on the structure plan that will shape development of Mahurangi’s tidehead town for the next 30 climate-tumultuous years was an inarguable priority. 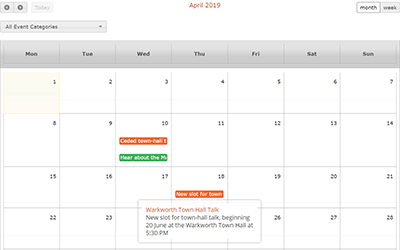 April’s, and every subsequent, town-hall talk was set to clash with bpw Warkworth’s monthly meeting. Somehow, this clash had been overlooked when the Warkworth Town Hall Talks were instigated, in June 2017. It was tolerated until bpw Warkworth elected to dedicate its April meeting to the Mahurangi River Restoration Trust fundraising, providing the town-hall talks organisers the perfect excuse to seek a less comprised slot.